JAPAN: The Marubeni Corporation has informed the Ibaraki prefectural government it will stop developing a wind project planned for a site in Kashima port. Marubeni said it would discontinue the project based on estimates that the wind power was not strong enough to meet targets. The Ibaraki prefectural government said Marubeni had scrutinised profitability throughout the development period and found it fell below acceptable levels, making it difficult to approve an investment decision. Marubeni was originally selected to develop the southern part of the port area in August 2012. Another developer, Windpower Energy Group, won the bidding for the southern portion of the port area and will reportedly continue with the project. 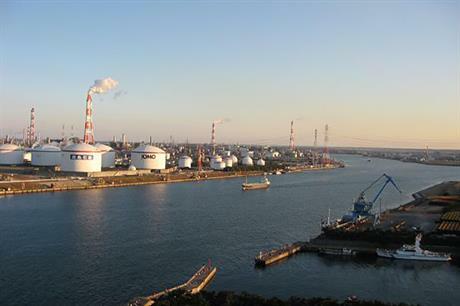 The prefectural government will reopen bidding for Marubeni's portion of the port project in February. In August 2016, Marubeni signed an agreement with a consortium of companies, including utilities, to carry out feasibility studies for two proposed projects at two port sites in the Akita prefecture, in the northern part of the major Japanese island, Honshu.